Take this "One of a kind" handmade carpet and provide a long life protection and beauty to your floor. This is a perfect thing for providing uniqueness to a décor. It contains a medallion Kashan pattern which has been originated from Persia in the 17th century. The legacy of this rug weaving is brilliantly illustrated in the romantic patterns and luminous textures of this rug which is hand-knotted in pure silk and cotton material. The warp is in the superior quality of cotton and weft is in 100% pure silk. 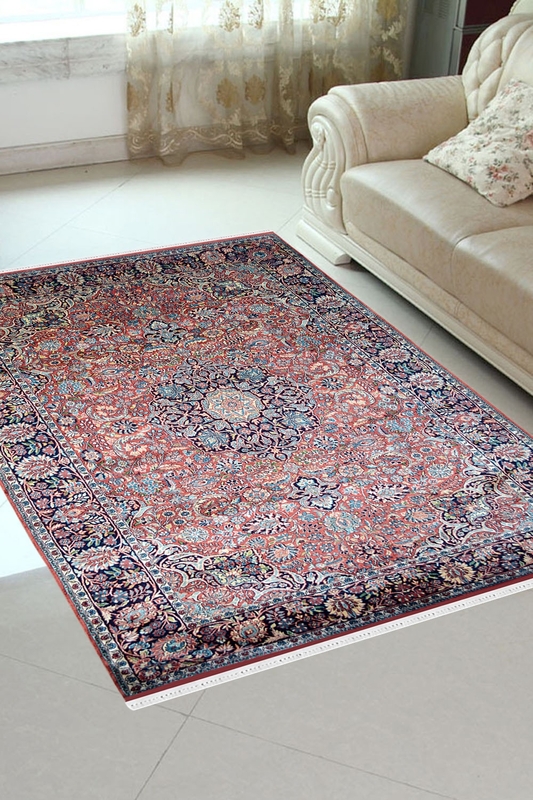 It contains Medallion Kashan design pattern in which medallion pattern takes place in the center of carpet and the ground is filled with tiny floral motifs.